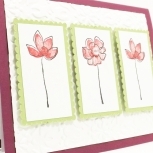 This hand made greeting card just pops! It stands up on it's own to display your message of thanks to a friend. I watercoloured the two girls stamp (by Dreamerland Crafts) and hand cut them to display on the card. 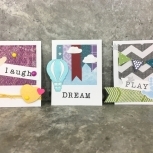 By blending Stampin' Up! 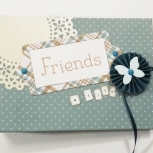 and Close to My Heart sentiment stamps, the message reads: "thankful for your friendship." A flurry of die cut butterflies surround the sentiment with dimension and compliment the teal, foiled butterflies in the paper. You will receive two blank white tags for the back of the card. These come unattached and blank on both sides so you have 4 tries to get your sentiment right. You can adhere your message to the back of the card with white glue or double sided tape. 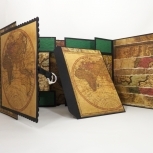 This side step card measures 4.25 by 5.5 inches (roughly 11 by 14 cm) and comes with a plain, white, hand made, self-adhesive envelope (North American A6 size).